Do I have to be home for the gutter cleaning service? Gutter cleaning is unlike many other services that you might have done on a regular basis around your house. There is no need for us to get inside the house, so we do not need you to be home for the gutter cleaning to take place. We leave this up to you and once we arrive and knock on the door, if no one is home, we will get started cleaning the gutters. Once completed, we will leave an invoice in the mailbox with an envelope addressed back to our office for your convenience. From the time I schedule the gutter cleaning service, how long does it take before you can get it completed? Gutter cleaning is one of those tasks that are seasonal in nature. There are times of the year that we are very busy and may be scheduling out about 2 weeks. Other times of the year when we are slow we can get the gutter cleaning done within just a day or two. However, let us know if there are special circumstances and we can usually accommodate. We carry a Workers Compensation policy and a General Liability policy. We give each customer a link to download a certificate of insurance once you have scheduled service with us. Many companies will claim that they are “fully insured” or “bonded and insured” but are not in reality. If you ever have questions about insurance, demand an insurance certificate with your property listed as certificate holder. What is the process for scheduling a gutter cleaning? If you have not used our gutter cleaning service before the first thing to do is get a quote. You can do this online or call our office. 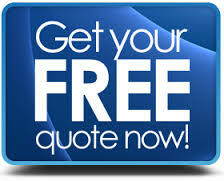 If you get an online quote, we will send it to you via email. The email has all the instructions for you to schedule the service. Once scheduled, we will not give you a specific date of service because we are weather dependent and if we did give you a date off the bat, most likely we would have to change it at some point before we came out anyway. We give you a time frame based on our current workload and other factors, such as “between 2 and 7 business days.” We notify you via email the day before we are coming out to do the gutter cleaning with a time window of when to expect us. There is nothing additional that you need to do after the original scheduling except decide if you would like to meet the crew at the house that day, or simply go about your day and come home to clean gutters.